Note: If you already have an account, you can switch to Pancake in the Design section. More info. 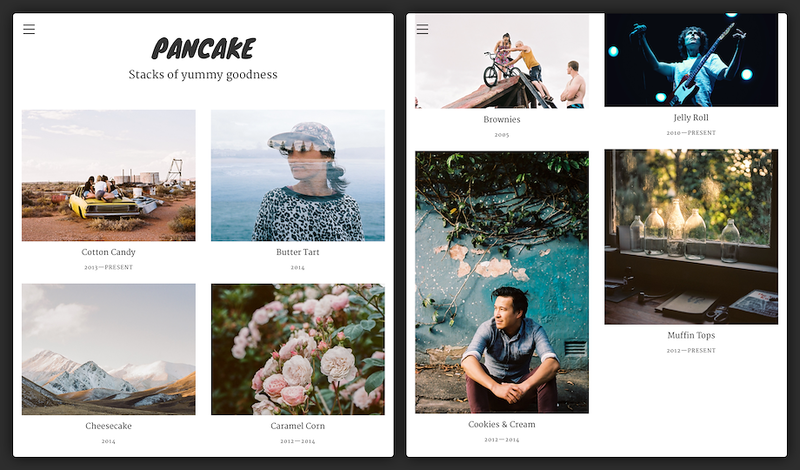 With its ginormous cover page and full-screen header images, Pancake is the perfect delivery system for photo essays, narrative projects and ridiculously good-lookin' pieces of work! It's fully responsive and scales beautifully from your phone to your desktop screen. 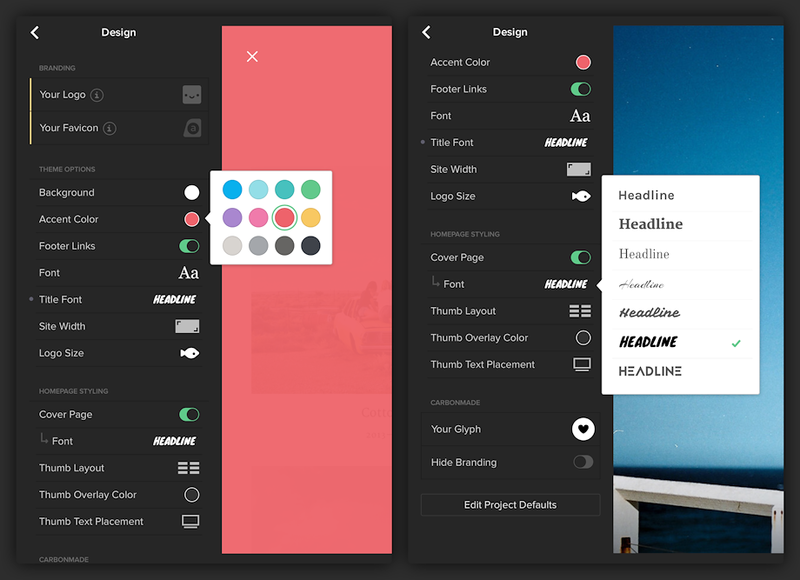 Pancake is our most customizable theme yet with a selection of modern title fonts, mood-altering accent colors and a wide variety of image editing options. From blur to black & white, you can set the mood or fine-tune readability in a snap. 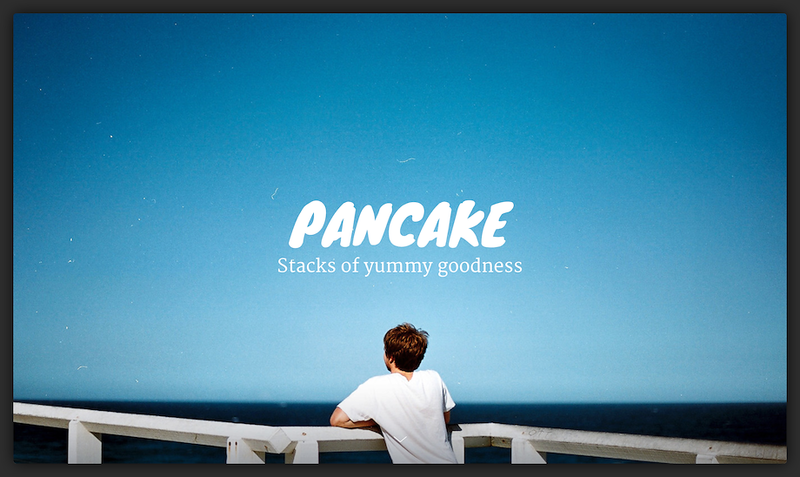 Check out our sample theme to see Pancake full of delicious work by Elize Strydom! 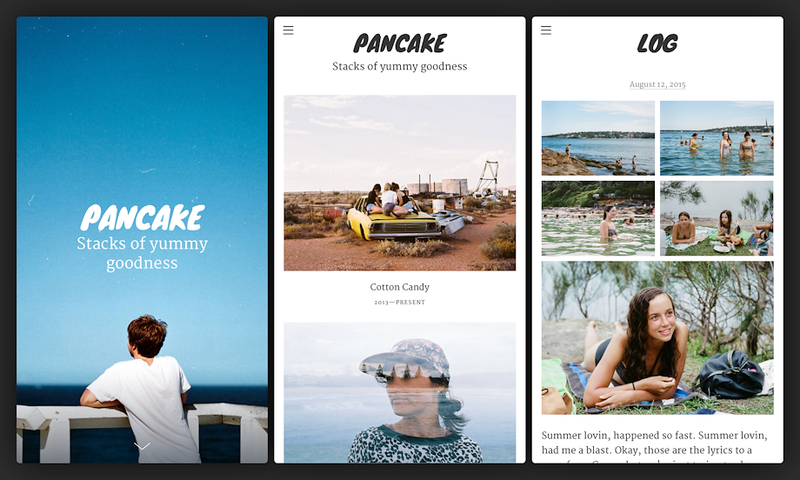 Pancake's grid style is fully responsive and scales up and down depending on your screen size. The thumbnails in the grid layout are in a 4:3 aspect ratio (max size is 1134 px × 860 px). You don't have to upload custom thumbnails but you can if you like. 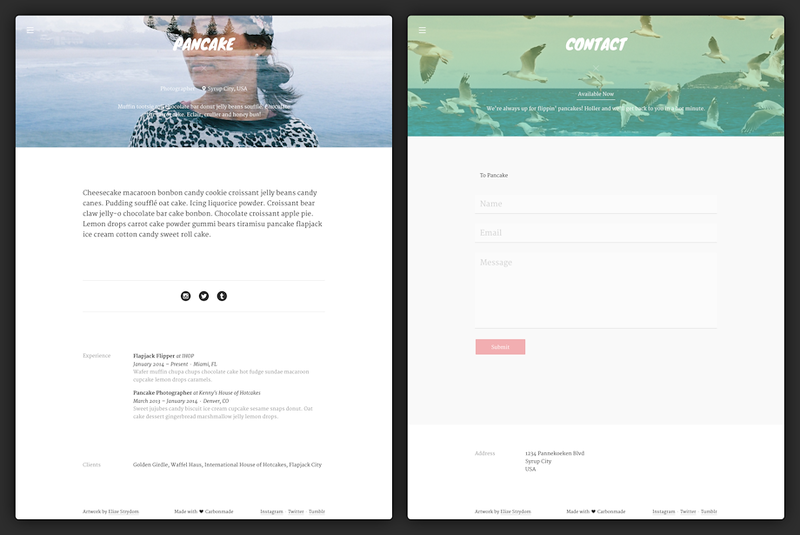 Pancake has two layout widths: Wide is 1280 px and Narrow is 960 px. Pancake was designed with mobile in mind and fluidly adapts to virtually any screen.